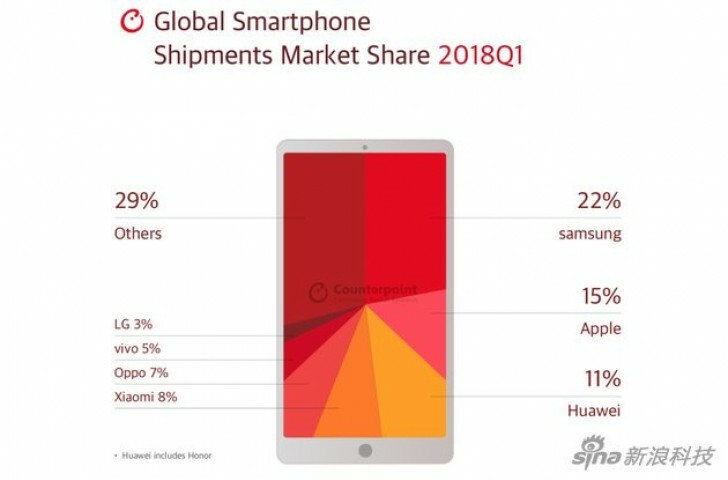 According to data from analytics firm Counterpoint, Samsung is the global leader in both smartphone and phone shipments for Q1 of 2018. In terms of smartphone market share, Samsung managed to ship 78m phones - 22% of the 360m total in the three months beginning January. Apple shipped 52.2m iPhones to obtain a 15% share and second place, globally. 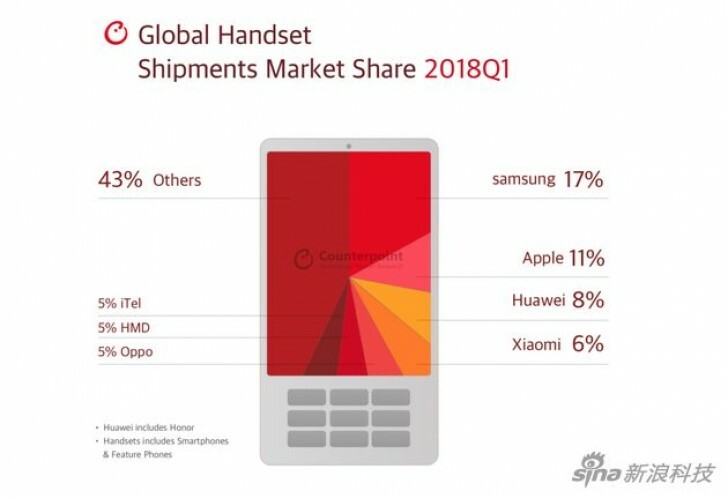 Huawei is third with 11% market share, which includes both its Huawei branded and Honor branded smartphones. If we look at the different markets, Samsung tied Xiaomi, Huawei and Oppo for 13% market share in Asia with Apple a close fifth with 12%. Apple dominated its home market of North America, capturing nearly 40% of the shipments there. Samsung is second with 27%. 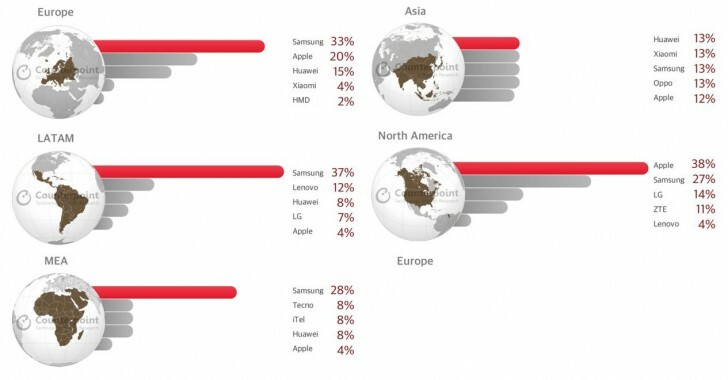 In Europe the tables are turned - Samsung is the leader with 33% with Apple in second with 20%. Total global smartphone shipments declined by 3% year over year. Samsung's shipments YoY declined by 3%, Apple's grew by 3% but it was Xiaomi that saw the biggest improvement - 101%. During Q1 of 2018 Xiaomi shipped 27m smartphones, compared to the 13.4m of last year's Q1. In terms of total phone shipments (including smartphones), Samsung captured 17% of the share with Apple in second with 11%, again spearheaded by the North American market.